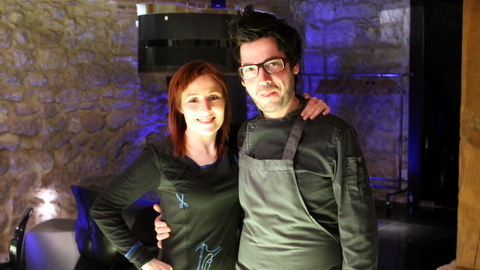 A very interesting night, gastronomically seen, on Hotel AF Pesquera i Penafiel, Castilla Leon, Spain. 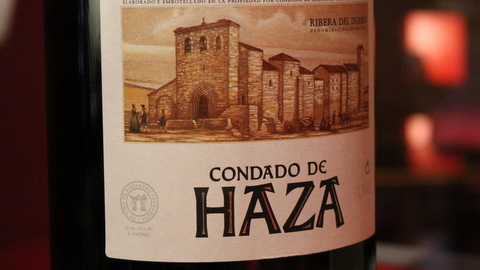 2008 Condado de Haza, Ribera del Duero – nice and sappy style, good tannin grip that softens with food. 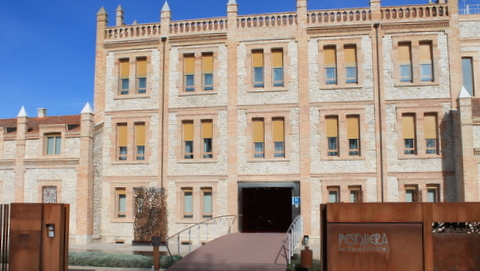 I was invited to Ribera del Duero by Regulatory Council for the Designation of Origin (D.O.) Ribera del Duero, and received the best possible treatment. I was in the area to participate in the yearly official Technical Tasting of the 2011 Vintage. We stayed at this lovely hotel and this was where we had our welcome dinner. 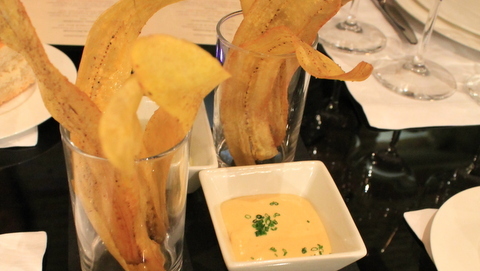 Banana Chips & Spicy salt. Delicious taste where you got both the salty element, but also the sweetness from the banana in the back. Two dippings that fitted the chips in an ok manner. Bombones de pan con tomato y jamon. Served on a spoon, looked like a tomato sorbet, but showed to be a package of tomato inside ham. Soft and still with a good grip. 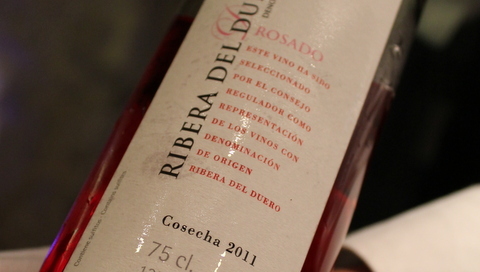 2011 Rosado, Ribera del Duero – very red in the glass with a fresh taste, a little sweetness to balance, red cherry and strawberries and a balance fruit acidity Worked best with the food, not a wine to sip on the porch. 2010 Tinot Joven Ribera del Duero – a fruit charming wine. No oak, just pure fruit with balanced acidity and soft tannins. Easy to appreciate. Arroz con Mariso. 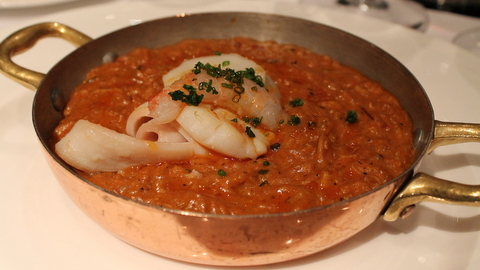 Rice with shellfish was not my first choice if I should pair oakmatured redwine with food. 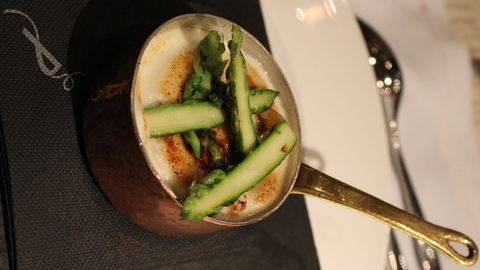 It showed that the “risotto” that was underneath these fresh shellfishs were very intens and the combination was excellent. It opened up the wine and softened the tannins. 2008 Tinto Crianza Ribera del Duero – a fruity wine combining well integrated oak tannins and mature fruit flavors. Solomillo Relleno de Queso de Oveja y Anchoas con fresa a la Pimienta. 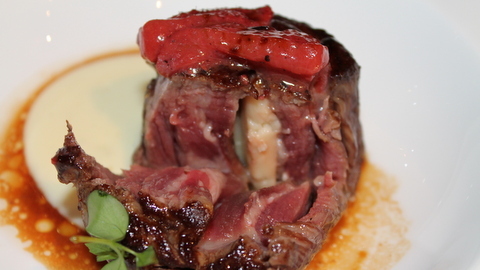 A nice piece of Sirlion steak, stuffed with goat cheese and anchovies. On top strawberries. A combination I would never have dreamed of. It worked fine, supplying sweetnes from the berry, saltiness from the anchovies and creaminess from the cheese to the very tasty piece of meat. 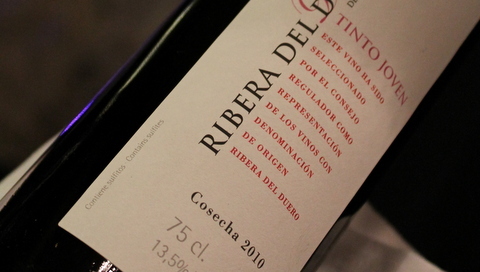 2007 Tinto Reserva Ribera del Duero – a good amount of oak flavours, still with balancing fruit and a nice fresh minerality. Then the big wines came to the table. It was interesting to taste these nice examples of the style in Ribera del Duero wines, but now the fun began in the glass. 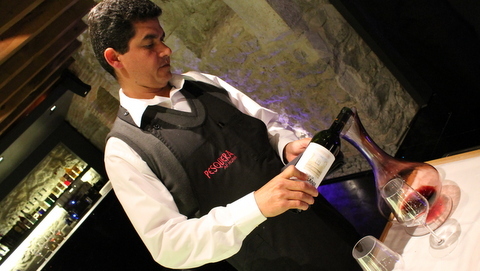 Our very kind sommelier Julio served some of the best wines from the Hotel cellar. 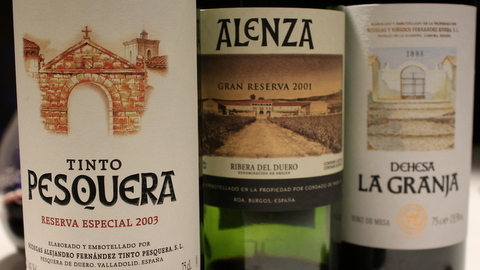 All being from Alejandro Fernandez and his Bodegas. 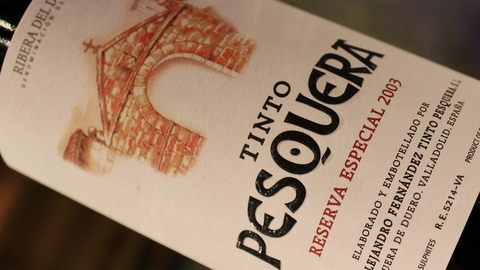 2003 Pesquera, Reserva Especial, Ribera del Duero – very open on the nose with licorice, meat, leather and first and foremost a lot of mature fruit aromas. Blueberry, blackberry and rosepetal. Very good structure with velvet tannins, high fruit intensity and long balanced finish. The high fruit intensity covers up the 30 months of oak in a beautiful way. This wine is gorgeous and it keeps developing new fruit aromas in the glass. 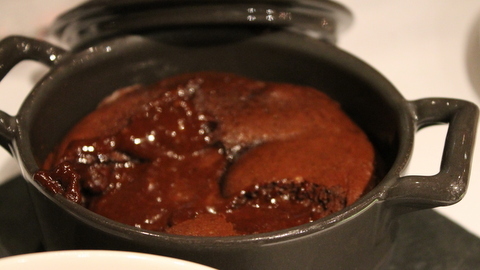 This was my favorite of the night, even after a good discussion with the sommelier and the rest of the company. 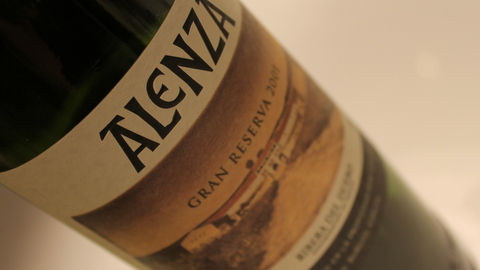 2001 Alenza, Condado de Haza, Gran Reserva, Ribera del Duero – a more restrained wine with aromas of leather, tobacco and dark chocolate taking over. The fruit is present but stands in the back, it kind of dries up. A lot of intensity and minerality. The fruit keeps coming a little late. Good body and medium (+) length. 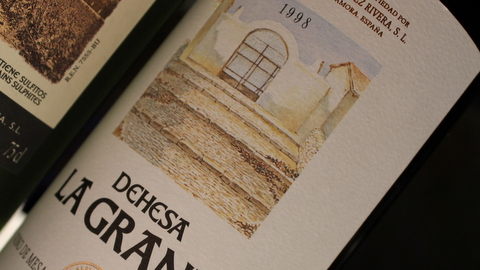 1998 Dehesa la Granja, Vinho de Mesa – a special cuvee, as I was told. Just released from the winery after 30 month of oak ageing and the rest in bottle. A lot of elegance on nose and palate. Pure fruit expression, cherry and raspberry. Very smooth structure with mature developed tannins. 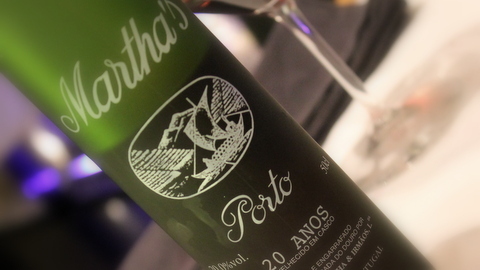 A wine with age, but still has plenty of potential. We ended the night with 20 Years Old Tawny and chocolatecake. Not the best Tawny, seemed very young, considering the age on the label. Thank you to Rebeca from the council, and André Ribeirinho for a fantastic evening and good company. Sounds like you had an incredible experience with pretty decent wines, lucky you! Thank you Ruth. It was a terrific few days. The day after was with a visit at Pingus!! Det ser da ikke ud til at være det værste arrangement at blive inviteret til. Glæder mig til at høre mere fra Duero! Og af hensyn til planlægning (opsparing)af en tur dertil,prøv for fremtiden at fortælle hvad hotel og mad koster. Jeg var inviteret af konsortiet i Ribera del Duero og de afholdt alle udgifter. Derfor kender jeg desværre (eller heldigvis) ikke prisen på hverken hotel eller middag. Det virkede ikke som det billigste hotel, men generelt bør det være muligt at finde noget fornuftigt i området.